In order to ensure research relevance, facilitate technology transfer, as well as to strengthen workforce development activities, we provide a vibrant ecosystem, which brings together strategic partners in industry and academia as well as, government, and community sectors. 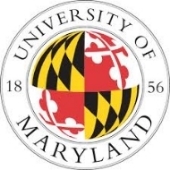 The consortium is a partnership of the two CASCADE institutions (ASU and UMD) with UMBC, Rutgers, and NCSU to enable data tools and systems towards a principled framework for reliable and timely data-driven decision making, with next generation hardware/software technologies. To enable reliable and timely data-driven decision making, we need to first ensure that data analysis, data assurance, and data management technology components are not designed and developed in the dark with respect to each other. Yet, the current lack of integrated enabling data technologies and the need to rely on ad hoc unprincipled solutions when designing data technologies result in significant wastes in man-power and other resources, act as significant roadblocks in front of economic competitiveness, and hinder urgently needed solutions to urgent social and economic challenges. Our mission is to enable synergistic industry/academy partnerships that translate technological insights obtained from fundamental research on (a) trusted and privacy preserving data processing and analysis, (b) real-time data processing and analysis, (c) parallel and distributed data processing and analysis, and (d) high dimensional and multi-modal data processing and analysis, into new key technology elements whose different instantiations are deployed for direct impact to various industries, including energy, healthcare, security, and finance.